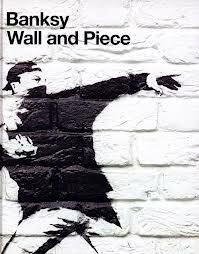 This is actually the 2nd time I have read Wall and Piece – each time it is promoted as a favourite at the library, I seem to pick it up. Sorry, other patrons! 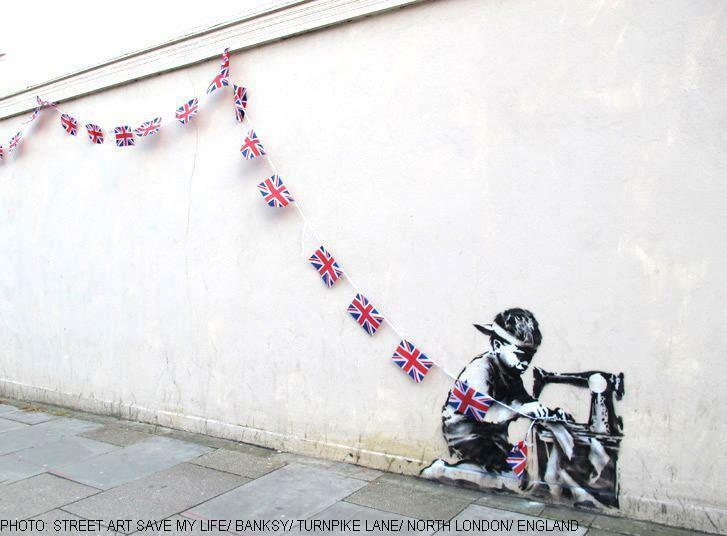 For those unfamiliar with Banksy, he is a mysterious British graffiti artist, who has been anonymously painting for over 10 years. His graffiti is not much like the graffiti one usually sees in the streets, in my experience. 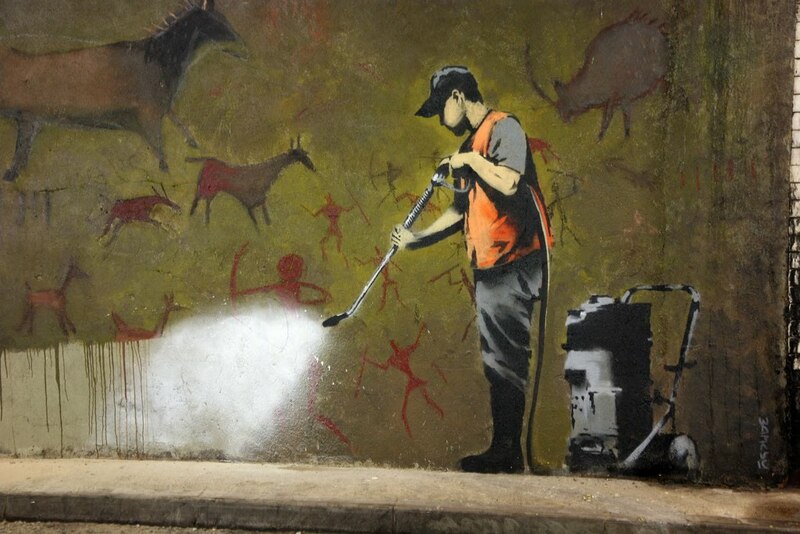 He uses stencils so that the pieces are clean, detailed, and fast to put up. 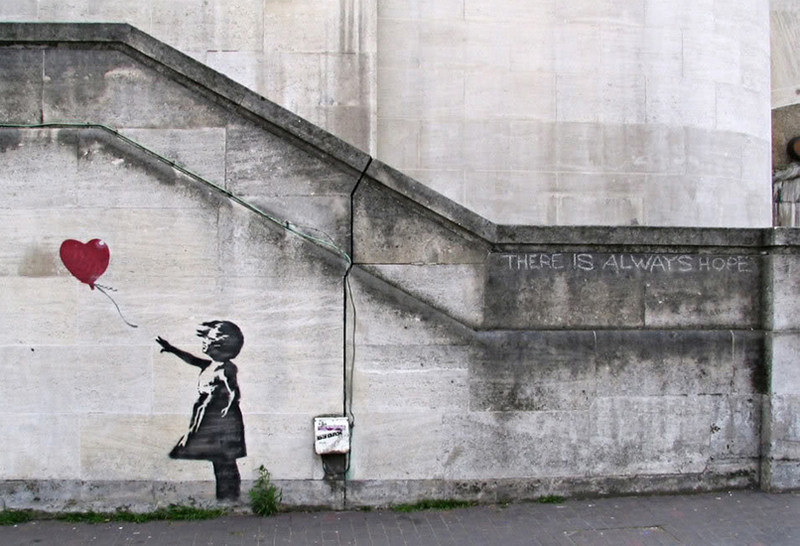 Both times I read this, I wondered if I had seen a Banksy when I was in England in 2004 – it is unlikely and I might not have noticed it if I had. I don’t normally look very closely at graffiti, and this book has made me think about that behaviour a little bit. Maybe I am missing something really meaningful or artistic, occasionally? It is just a really enjoyable book, and is a great way to see the pieces as they seem to disappear through weathering, council cleaning projects, and efforts to sell them on eBay. 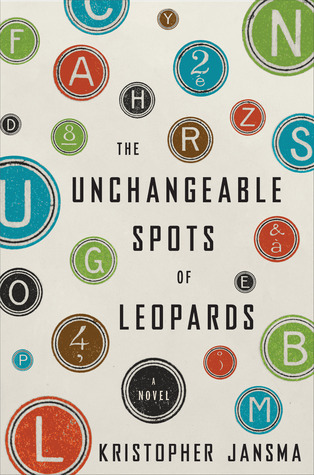 I finished Kristopher Jansma’s The Unchangeable Spots of Leopards a few weeks ago, and have been musing on how to best review it. It is easily my favourite of the books I have read this year, but I haven’t known how to write about it. Then I came across a discussion of Tarsem Singh’s The Fall, and I realized that what I love best about this book is that it is a story about storytellers. I am fascinated by how these characters shape the world around them – I was reminded of movies like Big Fish, The Neverending Story, The Princess Bride, as well as books like the Life of Pi, The Handmaid’s Tale, The Secret Diary of Adrian Mole, Aged 13 3/4, The Curious Incident of the Dog in the Night-Time and Unless. All of these books I love – story tellers with their truth, slanted or not. I’ve lost every book I’ve ever written. I lost the first one here in Terminal B, where I became a writer, twenty-eight years ago, in the after-school hours and on vacations while I waited for my mother to return from doling out honey-roasted peanuts at eighteen thousand feet. I thought that was kind of magical. This paragraph might contain the only reliable information in the book – the narrator is most definitely a writer, and the loss of his work seems to be a recurring theme throughout the book. At first he seems to have an increasingly outlandish life as he grows up, the kind of life you would only read about in a book. However, the beginning of the second half of the book made me laugh at the audacity of this narrator (and Jansma). The narrator is an active participant in the story of his life, making edits and recasting characters as he sees fit, most definitely including himself. The only real sense of grounding in the book is in the patterns – an obsession with books, obsessive and arms-length affairs, a group of three orbiting around each other. It is repeated chaos, really, and the only character who seems particularly interested in the truth makes the narrator intensely uncomfortable. I thought this book was really well written – it is very cleverly framed and Jansma is clearly very inventive. It is witty and self-aware, with an intricate plot. I have recommended it to everyone I know, and I can’t wait for Jansma to publish another book. 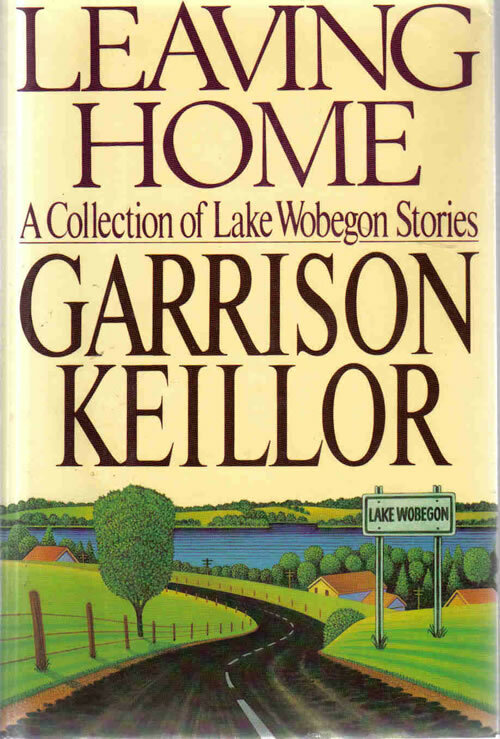 As a Canadian having grown up in a pre-internet era, I was not particularly familiar with Garrison Keillor prior to this book. I am fairly certain my first exposure to him was the lead up to the A Prairie Home Companion movie, which I thought was great despite the presence of Lindsay Lohan. This collection of stories is from the actual radio show, and it was kind of nice to have an understanding of how these would have sounded in Keillor’s voice. The monologues are about the residents of Lake Wobegon, a small town in Minnesota that seem to live very isolated, intertwined lives dominated by church society and the weather – in that way, it reminds me of classic books such as Anne of Green Gables, strangely. Some of the characters can be found in several of the stories and there are some family connections scattered in as well to provide a clear sense of interconnectedness. This sense is an important background as many of the plots centre around the residents leaving town, and sometimes returning. Sometimes the residents are fleeing, sometimes escaping, and occasionally just going on vacation, but that is the other link throughout the stories. I enjoyed the book overall, but a few of the stories were especially good – some were quite funny, and some were rather wistful and sad. “David and Agnes, A Romance” is my favorite story in the collection, about one character’s father falling hopelessly in love with his neighbor’s wife and leaving home and family behind to make a new life. His son finds love letters after his father’s death, in a trunk that is shipped to him after not having seen his father for 40 years. One letter begins with “Dear Agnes, something has taken hold of my heart…” It is sad and sweet and striking. Many of the stories are quite a bit sillier, but it was an easy read that was easy to pick up and put down.